TUESDAY, Jan. 23, 2018 (HealthDay News) — Living in a neighborhood with a high rate of obesity might raise the odds that you and your children will become plus-sized, too. That’s according to a new study involving more than 1,500 U.S. Army families. The researchers say their findings may help explain why high obesity rates in the United States tend to cluster in certain geographic areas. “Living in a community where obesity is more of the norm than not can influence what is socially acceptable in terms of eating and exercise behaviors and body size,” explained study author Ashlesha Datar. A phenomenon called “social contagion” may be at work, she said, though the study did not prove a cause-and-effect link. The bottom line: “If more people around you are obese then that may increase your own chances of becoming obese,” said Datar, a senior economist at the University of Southern California Center for Economic and Social Research. Datar and co-author Nancy Nicosia, of the RAND Corp., focused on Army families because they typically relocate based on military requirements rather than personal preference. This eliminated from the get-go one theory about regional obesity — that people who are obese associate with others like themselves. The researchers sifted through 2013-2014 data for about 1,300 parents and 1,100 children. The families were stationed at or near 38 military installations across the United States. Datar wanted to see if families had higher odds for being overweight or obese when posted in counties with higher rates of obesity. The team first reviewed body mass index (BMI) for family members. BMI is a measure of body fat based on height and weight. They then assessed the “shared environment” in which service families lived, tallying up the number of grocery stores, sports and recreational facilities, and such. 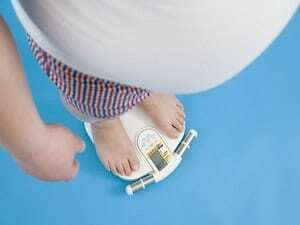 The researchers also weighed each community’s overall obesity rate. These ranged from 21 percent (El Paso County, Colo.) to 38 percent (Vernon County, La.). But the opposite also appears true: Relocating to a county with a lower obesity rate reduces a family’s odds of plumping up. Datar said the study found no evidence to suggest that “neighborhood shared environments” — such as access to the same eating and exercise options — were driving obesity rates. Lona Sandon is an assistant professor of clinical nutrition at the University of Texas Southwestern Medical Center at Dallas. “It is well known in the behavior and psychology literature that those around us influence behaviors, values and beliefs,” she said. Her own research suggests “most people believed they were in control of their behaviors,” said Sandon, who wasn’t involved in the study. But when asked about specific situations — like eating out with friends and whether what their friends ordered influenced their choice of meal — the respondents’ answers changed. “They would often realize that others around them did influence meal choices,” she said. The findings were published online in the Jan. 22 issue of the Journal of the American Medical Association. Find tips for preventing obesity at the U.S. National Heart, Lung, and Blood Institute.